They overcame him (Satan) by the blood of the Lamb and by the word of their testimony; they did not love their lives so much to shrink from death (Revelation 12:11 NIV). A strong outspoken witness for the Lord Jesus Christ will box you into a corner and make you put up or shut up. That’s why you ought to do it. That’s why you should erect a neon sign in your front yard declaring that “Jesus is Lord in this house.” You should put a Bible on your desk at work and put the topic of Jesus in your conversations. Pray in restaurants before meals, speak to the server about Christ, and witness to your colleagues at work. Live and speak in such a way that when someone wants to attack Jesus Christ and they can’t lay hands on Him, they start looking for you instead. (Acts 5:41 comes to mind). In declaring yourself a follower of Jesus Christ, you ought to remove the safety harness and throw yourself totally into God’s Hands. Quit playing it so safe. Tell people you are a believer and that it’s the best decision you’ve ever made. Keep doing it and then watch what happens. It might be painful, so be strong. 1. It will identify Jesus Christ as the Master of your life and everything of any value to you. “Let the redeemed of the Lord SAY SO” (Psalms 107:2). 2. It will force you to put up or shut up. This kind of crisis can be the best thing that ever happened to you. Come through it victoriously and you will grow a mile overnight. Back away from it and you will be years in recovering. You need to know that the process will be painful. You spoke your testimony in a moment of sweet giddiness when the Lord seemed so near and all your burdens had been lifted, and now, you’ve been called on to live up to your faith or admit you are a hypocrite. And hasn’t the world seen enough hypocrites? Let’s not give them any more. 3. It will get the attention of the watching world. Outsiders and onlookers – people who do not know the Lord, those who may know the Lord but have never been challenged, and those seeking the Lord and unsure where to find Him – will watch to see if things are as you said, if the Lord can do what you claimed. They are deciding if this God is one they ought to be paying attention to. 4) It will dare the enemy to do his worst. You are throwing down the gauntlet to him, daring him to test you. This is what baptism was intended to be, a public announcement to the world – to the righteous and to the enemies of righteousness – that this one is publicly declaring for Jesus. Until that moment, you were hiding in the shadows, a secret follower of Jesus. But no more. You are donning the uniform and carrying out His orders. You have just painted a target on your own back. That, I expect, is the reason most of us live for Him timidly, hide in the back recesses of the church, and keep our faith to ourselves. We hope that the Lord notices and the devil doesn’t. 5) Going all out in your witness for Christ will honor the Lord. The Lord loves it when His people stand up and claim ownership by Him. He particularly likes it when they back up their words by living like they mean every word of it. (Mark 8:8 and Hebrews 11:16 come to mind). The word on the street is that some people actually select a church based on what it does for them or how they will benefit from it. Imagine that! The truth is, EVERY church caters to some group. Just change your music and worship style and you’ll quickly discover who YOU’VE been catering to. If our goal is to fill our churches only with people who are already deeply committed believers, then it might be a good idea to focus our attention solely on them. But if our goal is to persuade the unconvinced, reach out to the uninitiated, and invite the sinner to come and see what Jesus and the Scripture is all about, it might be a good idea to target them for evangelism. Along the way it would also a good idea to make sure our restrooms are clean, the grass is mowed, our buildings are inviting and comfortable, and our services are as appealing as possible. The notion that lost people need to be smoked out and driven away at the first opportunity ignores a significant aspect of Jesus’ ministry. The sinners that Jesus so famously spent time with were sinful to the core: prostitutes, tax collectors, lepers, Samaritans, and a host of others who irritated the religious elite to no end. The thin-the-herd crowd wants to write these kind of people off as unworthy of our time, energy, or compassion. But we can’t redefine the ministry of Jesus so that it fits our paradigm. If we want to reach the lost like Jesus did, then our list of approved people will have to also include the spiritual window shoppers who populate our pews. Now, don’t get me wrong. I’m not saying that we should be satisfied with a church full of carnal, casual, or consumer Christians. Neither should we settle for a definition of spiritual maturity that’s anything less than full devotion. Nor am I saying that we should ignore church discipline in the face of continued sin. (God knows how we much we practice church discipline at PCC, and our congregation knows how challenging the teaching is. The mission of the church is to make disciples, and there is no Plan B). Our ultimate goal is nothing less than full obedience to everything Jesus taught. It’s the only way we can fulfill the second half of the Great Commission. But our attitude towards people who are sinful and hurting needs to be aligned with the compassion and ministry of Jesus rather than the disdain, disgust, and exclusivity of the Pharisees. A Ministry like John the Baptist or Jesus? John the Baptist played hard to get. He hung out in the desert, wearing rough clothing and eating strange food. Under a Nazirite vow from birth, he was characterized by self-discipline and the commitment to abstain from all forms of self-indulgence. Large crowds came to hear him. But to do so, they had to make a difficult journey into the wilderness. That alone separated the window-shoppers from the serious seekers. He also had a major thin-the-herd message. In essence, John told the people who showed up that they were going to hell. He told them that if they didn’t repent and get baptized for their sins, they were doomed and would suffer the judgment of God. Even more astounding, John told the religious leaders the very same thing. Maybe that’s why they disliked him. But Jesus’ ministry was radically different. While Jesus often said hard things and drew lines in the sand, He didn’t hide out in the wilderness. He went toward people. He made it easy for them to hear Him. He did things designed to draw large crowds. He even healed people before they made a commitment to follow Him. He went to their weddings, attended dinner parties, and inter-acted with the local riff-raff from the community. He even allowed women with questionable reputations to physically touch Him in public. His entire life and ministry was so popular that the religious elite wrote Him off as profane. They falsely accused Him of being a glutton and drunkard. Even John the Baptist began to have second thoughts. Jesus’ ministry was so different from what a radical thin-the-herd preacher like John expected that it caused him to wonder if perhaps he’d gotten it all wrong. Many people today seem to wonder the same thing. When presented with a Jesus-style ministry that attracts crowds of people, then teaches them the Word of God in a manner that leaves them wanting for more, they write it off as a compromised ministry or a watered-down gospel. Jesus didn't come to recruit "special ops" Christians. His goal was to expand the Kingdom, to bring salvation to people who were previously excluded. He came to seek and find the lost, including large groups of people no one else wanted to invite to the party. Everything about Jesus’ ministry was designed to make salvation more accessible. Of course, not everyone appreciated Jesus’ making things so accessible. The religious elite of His day had spent centuries erecting a complicated spiritual obstacle course. Their extra-biblical rules, traditions, and strict intellectual requirements ensured that only people with the best pedigree, biggest brains, and greatest dedication would make it through. It’s no surprise that they didn’t take too kindly to Jesus’ offering everyone a shortcut. If you were there, you know what I’m talking about. If you weren’t, you missed out. The theme of his message was that we should never lose our amazement of God and how great He is. 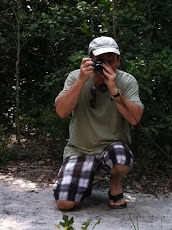 People often reduce Him down to an image, a piece of jewelry, a bumper sticker, a trinket, something earthly, man-made. God is much more than that. My favorite quote: "God is bringing us up, we don't bring Him down." The message was chock full of nuggets. I hear about it all the time. Another pastor has fallen because of an ethical or moral violation. Or worse, we read about it in the morning paper. Or hear it on the evening news. We wonder what happened, but honestly, every other pastor knows what happened. The demands of ministry don’t let up. The pressure is relentless and constant. There is always one more phone call to make, one more hospital to visit, one more critic, and one more sermon to prepare, etc. Running on empty, a pastor can experience a fatal attraction, then make a fatal decision…. “just this once”… and a ministry is lost. Ministers don’t explode. You never hear of a pastor going postal and shooting up a congregation. Ministers implode. That is, the pressure on the outside becomes so great that they’re crushed like an empty soda can. Ministry, however you express it, is giving yourself away…. all the time. Unless pastors are intentional to refill their souls, they soon get to the place where they have nothing left to give. 1. Maintain a habit of prayer. I know this sounds out-of-date, but maintaining a habit of prayer is essential. It keeps us closer to God and provides strength. When we become overcommitted, we think we can simply skip prayer and run off to do our ministry. We shouldn’t. 2. Keep a Sabbath (rest). The Sabbath was created for man so that he would have a day of rest. No one works well when they’re fatigued. That means we have to be intentional about recharging our souls. 3. Have friends, real ones. Of the twelve disciples, Jesus had an inner circle of three: Peter, James, and John. He often pulled them off to the side for deeper conversations. Jesus also seems to have enjoyed staying with His friends, Mary, Martha, and Lazarus. Too many times we allow our ministries to isolate us from the close friends that make life bearable. Ministry is a marathon, not a sprint. Too many people flame out after a few years. The average stay for pastors is twenty-four months in the typical church. I’ve been at PCC for almost fifteen, because I have disciplined myself for the long haul. Paying attention to my personal discipleship, physical and spiritual rest, and supporting relationships has gone a long way to keep me in the race. 1. Sometimes by going deep people mean intellectually deeper. They’re asking that a certain amount of Greek or Hebrew words should be included in every sermon. 2. For others going deeper might mean depth of obedience. Such people are asking that more specific challenges be issued to the congregation about holy living. 3. Still others might mean the depth of relationships. They are asking for increased environments for authenticity. I could keep going by including other definitions like experiencing God’s power, or being actively involved in a place of service. No matter the definition, when someone says they want to “go deeper” they are expressing a sincere desire towards spiritual growth, discipleship, and drawing nearer to Jesus. But how is this accomplished? It is classes? Sermons? One-on-one meetings? 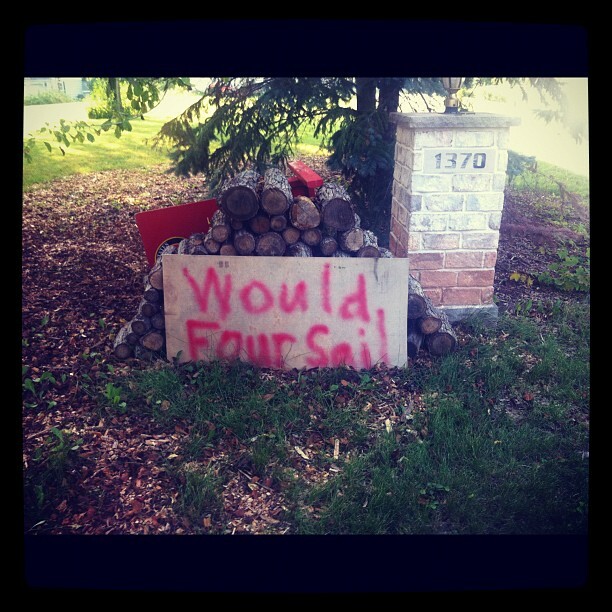 The answer is yes and no. Here’s why. Each church is unique and exists in a unique context, so different methods must be used. What works in one church may not work very well in another. Furthermore, every believer is unique; each one possesses different needs. Most believers are in different places of spiritual understanding, so different approaches must be used with them. There is no cookie-cutter approach that works for everyone. Last week I made two visits to the vet with a sick Jack Russell Terrier. I have a dentist appointment soon. Right now my Tahoe is overdue for its 3,000 mile oil change, and it’s time for a tire rotation. The field lines on my septic system need replacing, the shed needs a fresh coat of paint, and my garden needs to be watered. Nothing about “maintenance” sounds very glamorous. But it’s absolutely necessary for the long life of anything: be it a machine, structure, or your health. That old car you saw on the highway still purring like a kitten after 200,000 miles runs well, not because some rich guy bought it and spent a fortune overhauling it, but more likely because its owner took good care of it from the first day. A young man said to me once, “I don’t know what all the fuss is about oil changes. I’ve owned my car for two years and have never had an oil change and it still runs like new.” I said, “Just wait. You’ll find out what the fuss is about.” He did. The same is true for churches. The flock needs maintenance. The word “pastor” literally means “shepherd” in the Scriptures. A shepherd’s prime responsibility is to keep the sheep; to guard them; feed them; stand with them. When he does his work well, the sheep bear more sheep. That’s the plan. Maintenance. For the pastor, it involves sermon preparation and sermon delivery so that the flock may be well fed. It requires diligent prayer on my part for God’s guidance. Visitation, weddings, funerals, baptism, communion, oversight of ministries, are part of the package too. It means holding leaders accountable to do their jobs well. Counseling those in crisis, nurturing the hurting, admonishing the strays. It’s all part of the job. I get the impression from some people that we’re supposed to forget this aspect of the ministry. The old line goes like this: “We are supposed to be fishers of men – not keepers of the aquarium.” Sounds good. Only one problem. It’s not true. Sure, we are commanded to be fishers of men. But we are also commanded to take care of God’s family, protect and feed (Acts 20:28; John 21:15). We are commanded to bear fruit (John 15:16). Whatever else that means, it surely means seeing people come to Christ, being discipled, becoming mature teachers and role models and influencers of others for Jesus’ sake. Pray for the shepherd. When he does his work well, the flock is healthy, well fed, and prolific. One of the most vital ministries in the church is that of usher. 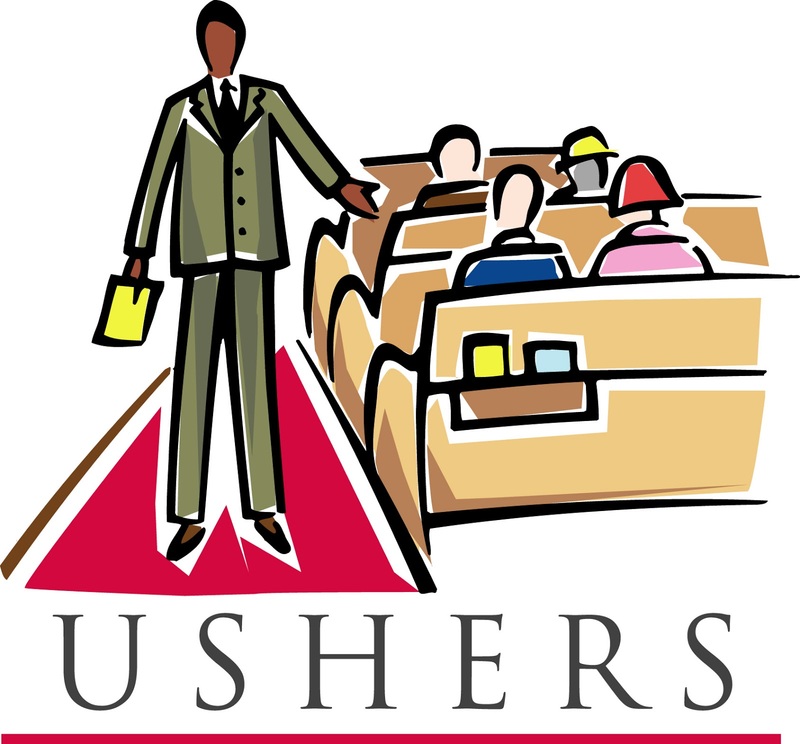 The ushers are a huge presence in setting the tone for worship and helping to prepare a proper environment so that people can have a positive worship experience. An usher serves as a “first representative” of Jesus Christ for the worship service. Although we enjoy our services at PCC and often sit on the edge of our seats, make no mistake, this is a holy event where God is meeting with His people and speaking through His Word. From the tabernacle in the Old Testament to the temple and synagogue in the New Testament, God’s presence and the teaching of His word is of supreme importance. An usher can make or break this experience. Not just anyone can be an usher; in the same way that not just anyone can sing on the worship team, or work in children’s ministry, or lead a Bible class. The right gifts, passion, and abilities are necessary for the people chosen for this role . Rather than practice “random recruiting”, a good qualification is the Fruit of the Spirit as found in Galatians 5:22-23. That is a solid guideline for a good usher. This is not about perfection, but a heartfelt motive and desire to live a godly life as a spirit-filled believer. 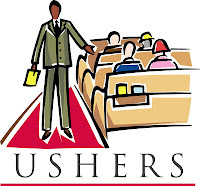 · You understand the vital role of the usher ministry. · You enjoy and care about people. 1. Prepare yourself spiritually. A good usher comes prepared mentally, physically, emotionally and spiritually. You should connect with God as part of your preparation. Don’t feel like this requires an hour of Bible study before you show up. God is more interested in the commitment of your heart than anything else. Take a few moments at home to connect with God and ask Him to use you as a representative of His love and an agent of His redemptive plan. 2. Take initiative! This is huge. The cardinal sin of an usher is to not pay attention. At all times watch what is going on in your section and jump in to handle it. If you aren’t sure what to do, ask your section leader. The only wrong choice is to do nothing. Never assume “someone else" is taking care of the need. Pay attention, take initiative, and make it happen!! 3. Absorb the pressure of the moment, don’t transfer it. Most of the ministry of an usher is a pure joy. Seriously, it’s a lot of fun. But on occasion there are moments of pressure when someone is upset or something isn’t working right. In these moments you should never transfer your own frustration onto anyone else, particurlary the person who is entering into their worship experience. You are the leader. You absorb the pressure. Get help if you need it, but never make the issue someone else's problem. Deliver a solution. 4. Own your section, lead your section, and shepherd your section. This is exciting. As a leader you are empowered to take ownership of the area of seats you serve in and give leadership where needed. Think of your area like your own flock; that you are responsible to do everything in your power to ensure that all those people have the best opportunity possible to connect with and hear from God. You can shepherd the people by getting to know them, praying for them, learning their names, and meeting appropriate needs. 5. Follow the directions of your head usher. All good leaders are good followers. It is important that you follow the leadership of the person responsible to lead you. Be supportive and encouraging. Offer suggestions if you have good ideas, but don’t be overly sensitive if your ideas aren’t used. Your head usher will do his best to serve and lead you and the rest of his team well. 1. Help people find a seat. This seems obvious, but there is an art to it. The art is all about making people, especially new people and those far from God, feel comfortable. Their insecurities can rise and their feelings of self-consciousness prevent them from connecting with God. Your job is to move toward and engage people quickly and with confidence to help them know what to do. Don’t leave people hanging. Let them know that you can handle anything they need, and that you are the one that can make this a smooth and enjoyable experience. Don’t make them come to you and ask. You approach them with confidence and a smile. Take charge with grace and poise. 2. Collect the offering. On a divine level, the offering is part of worship. It is the opportunity for worshippers to express their love, trust and obedience toward God. On a practical level, the financial needs of a large church are significant. Your smooth and coordinated execution of an offering can and does impact the resources that fund your church and its ministries. On a security level, this is one of the most detailed functions of an usher. 3. Assist in the execution of special moments. Most of the time our church services are pretty much the same. But on some occassions we mix things up, change the order of service, and add creative elements. Some of the special moments are fun, some are crazy, and some are deeply spiritual. The role of an usher is crucial to these moments being leveraged toward life-change. So we are depending on your flexibility. Don’t get flustered when last minute changes are made. That will happen. Just keep positive, stay flexible and know that God’s Spirit is at work and that makes all the difference. 4. Get an accurate count of attendance. Why does this matter so much? Why must these numbers be so accurate? Why can’t we just make a good estimate? The answer is that every number represents a person. We want to be good stewards of all that God has entrusted to us and therefore it matters that we know how well we are reaching people. Just like in the book of Acts, they counted, recorded, and celebrated how many people were saved. We count too! 5. Clean up the auditorium. People will leave papers, cups and “stuff” behind after they leave. The least glamorous part of an usher’s ministry is cleaning up after each service, yet is is also an honor because our church building is a place of worship. So drape a towel over your arm (like the heart of a servant does) and do a quick pick-up of the room. In addition, supplies such as Bibles and pens are replenished. · Maintain proper appearance and personal hygiene. · Show up on time: this means show up early. · Read the bulletin – get informed, stay informed. · Wear your name tag, ushers shirt, or other special attire. · You are not required to usher every Sunday, but when you are on the schedule, give it 100%. · If you are on the schedule and can’t make it, it is imperative that you call your section leader. · Smile, talk to people, and learn their names!! PS – We are receiving Communion this Sunday. The elements you will be serving our congregation represent the Body of Christ. This is a sacred privilege you have. Church leaders have been talking about closing the back door years. It’s a good conversation. After all, it’s frustrating to see people come to church, hang around for a little while, and then simply leave. However, many of these conversations sound like church leaders are just trying to “keep people” – as if that is the main goal of church work. Church members will sometimes step forward and ask, “Why are so many people are leaving the church?” They almost never ask this question or express concern until it’s someone they happen to know who has left (which usually turns out to be only 2 or 3 people). And there’s always a subtle insinuation that something is wrong (with the church or its leaders) if people are leaving. Fact is, someone is always leaving a church – no church is exempt – because it's a normal part of the life-cyle of every church. The reasons are endless. In reaction to both of these scenarios, church leaders get alarmed and begin thinking of ideas, new programs, and new ministries that they hope will “keep people.” A lot of time, effort, and energy gets devoted to these initiatives. There is a big launch, it starts out well, then fizzles out. So church leaders think up a new idea and launch it. Before you know it, everyone is on a squirrel cage of activity running these programs that are designed to “keep people.” But in the end, the back door is still open. 1. The goal of the church is not to “keep people.” The goal is to “make disciples.” We can’t “keep people.” It’s futile to even try. The goal is to “make disciples” – which is something we can do. This is not a matter of mere semantics – it reveals how we think as leaders. When the focus is to make disciples, you’re promoting spiritual formation and self-sacrifice in the believer instead of catering to consumers who possess fickle demands. Consequently, the more successful we are at making disciples, the more of them will stay. And when (or if) a mature believer moves on, it will be for the right reasons. 2. Closing the back door is partially negated by keeping the front door wide open. The spirit and atmosphere that makes a church inviting and appealing for newcomers is the same spirit and atmosphere that makes most people want to stay. And most do at PCC. 3. When the focus is to keep people, it puts us on the defense. Instead of leading, we chase. “Please come back! What did we do wrong? We’ll do better. We’ll change the whole program ‘just for you.’” Instead, we should be out front inviting newcomers to join, and leading the flock (who chooses to remain) to green pastures and still waters. It’s unproductive to chase people who choose to leave. We can't fix their wanderlust. 4. We should never close the back door completely. Church health is directly related to who stays and who goes. An open back door makes an easy exit for those who want out, and it also ensures that those who remain are most likely to be happy and supportive of their church. 5. Relationship Connections are the key, not programs. People who have family or close friends in a church are the most likely to stay for the long haul. They will stay whether you offer programs or not because they prefer family & friends over church meetings or programs that pulls them apart during the week (no matter how many bells and whistles it has). In fact, I have noticed that the people who have strong relationship connections at PCC are the least likely to attend any programs we offer beyond the Sunday services. If they feel the need for 'something more' they will usually get together on their own during the week. We had a packed house! Don’t know what the occasion was, but almost everyone seemed to show up at once. Lot’s of energy in the worship service. It was a big day at PCC. Last Sunday’s message - Family Ministry Begins in the Home - from the book of Deuteronomy was one of the most important I have ever taught at PCC. I wish I had known those things twenty years ago. They would have reshaped my entire ministry. I’m rethinking a lot of things nowadays; particularly the way we do ministry. I've seen too many people who have been in churches for years – but later defect. Most alarming is the number of young people who defect. I think this is caused by a spiritual vacuum in the home; and it's a vacuum that the organized church cannot fill, no matter how many ministries it offers. God’s will is that there be a conscious, consistent, transfer of His truth from the older to the younger in the family. If there is a mistake that Christian parents make, it’s thinking our children automatically capture our zeal for Christ. Quite the contrary; the only thing automatic is that our children are inclined towards sin. If there is going to be a capturing of their heart for God, there needs to be a concerted effort in the home. That means Monday, Tuesday, Wednesday, Thursday, Friday, Saturday, Sunday, Monday, Tuesday, and so on in the cycle of living. Home is where life makes up its mind. Society has made Christianity a “Sunday religion.” Even worse, professing Christians have bought into this notion. God is almost non-existent in their lives or in the home until Sunday. But true-to-life Christianity is designed for Tuesday afternoon just as beautifully as Saturday morning. You don’t have to put on a collar. You don’t have to wear a coat and tie. You don’t even have to dress up for it. It fits in after a meal as well as before bedtime. That’s what makes “teaching in the home” so authentic. There is no school or church program that families can attend to earn a degree in family strength. It doesn’t work like that. Families become strong, not because they have “Sunday religion”, but because they pay the price to be different…. because they include Biblical truth in everyday life... and because they conduct their relationships according to God’s knowledge. Every time I turn around someone is trying to think up ways to get people connected or more engaged in the Christian life. I've got shelves of books dedicated to the subject. We spend countless manhours thinking up things for people to do and places to serve, when, in fact, a place of minsitry already exists for every one of us - it exists in our own homes beginning with our spouse and our own children. It's the emphasis of the church that is usually off-base. For example, churches everywhere are trying to crack the code in men’s ministry. Some churches try big events where they bring in top-flight speakers and musicians. Other churches opt for weekly Bible studies geared towards practical, real-life issues. Some churches host hunting and wild game dinners. Still others opt for the weekly accountability meeting or small group approach. All of these emphases are designed to answer one question: How do we get men engaged? Ironically, all of these approaches leave out the preeminent Biblical mandate that God has already given to men – the mandate to love their wives as Christ loved the Church and to bring their children up in the nurture and admonition of the Lord (Ephesians 5:25-6:4). We fail to hold men’s feet to the fire and equip them to lead in their families. And men remain unconnected despite the best efforts that churches can muster for a mens minsitry. The same is true for virtually every other ministry typically offered by churches. They keep trying to crack the code to get people engaged, but overlook the mandate that already exists in the Bible. The Bible is filled comparable instruction for parents, wives, mothers, husbands, fathers, men, women, children, aged women, young women, aged men, young men, singles, widows, young married couples, and everyone else in-between. We don’t have to think up stuff for people to do; it’s already been thought up by God. Our job is to promote a Bible view of marriage, family, and home life (whatever its configuration is). The church, of all institutions, should pull the family together, not apart. We were created for work. Hard work. Even physical labor. Work existed in the Garden of Eden before the fall. Adam was instructed to “tend the garden and keep it” (Genesis 2:15). Work has always been a part of God’s plan. After the fall, men were commanded to work by the sweat of their brow. In the Ten Commandments the people of Israel were commanded to work a full six days a week and to rest on the seventh. 1. God promises that poverty and hardship will come upon a lazy man like an armed thief; …..poverty will come on you like a bandit and scarcity like an armed man (Proverbs 6:6-11). In His sovereignty God has preordained that a lazy man is not going to be treated with tenderness; but roughly. Poverty will come upon him like an armed thief to steal what little he has. Doors of oppurtunity will slam shut. People who persist in laziness are asking God to work them over. They've got a rough life ahead of them. 2. Poor work habits are public knowledge for everyone to talk about. “As vinegar is to the teeth, and as smoke is to the eyes, so is the sluggard to them that send him” (Proverbs 10:26). When employers are irritated to this extent, they do not keep their opinions to themselves – nor should they. When someone fills out a negative job evaluation, or tells another prospective employer that Joe “is not a good worker”, he is not gossiping. Work is a public activity and is evaluated publicly. Those steeped in poor work habits will be judged publicly and roughly, and should be. Laziness is hard. It’s harder than hard work. 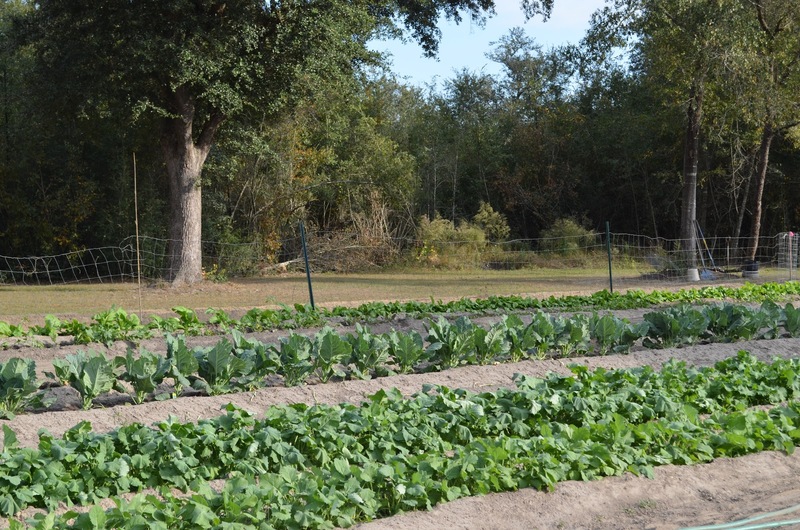 From the farthest row to the nearest: Mustard Greens, Turnips, Collards, Kale, and Rutabaga. 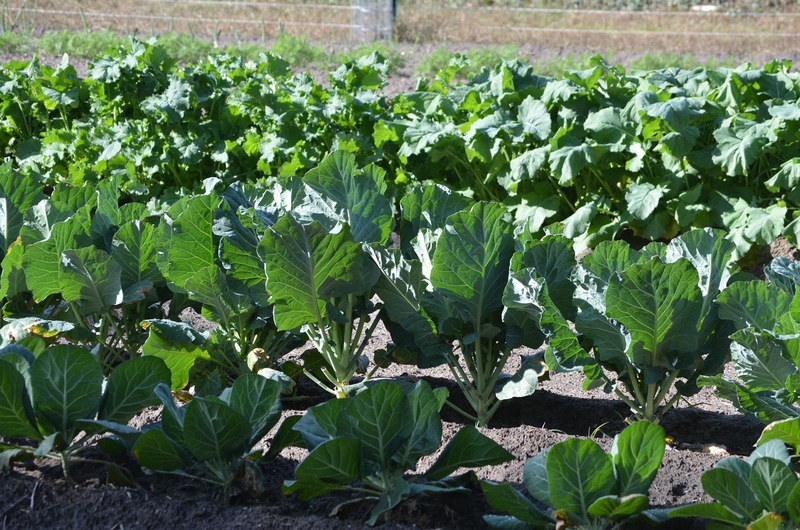 Looks like we're gonna have plenty of greens for Thanksgiving. If anyone would like to pick some for yourself, let me know. Attendance was way up. Giving was good too. We dedicated four babies. The altar was full of family and friends during that part of the service. Very neat to see. The music was exceptional. Mike G. hit is out of the park with his harmonica part. The offertory on piano was very enjoyable by Philip P.
After service we had a fellowship dinner in the fellowship hall. It was a big success. I got to spend some quality time with members of the PCC family. Today’s message was one of the most important for PCC that I have ever taught. Many parents have misplaced priorities when it comes to the spiritual formation of their own children. The most common approach is to drop them off at church in the hope that someone else will take care of their child’s spiritual needs. They seldom bring up God in their own home, so they look for the coolest church in town with the best programs and the hippest leaders, and then expect the ‘trained professionals’ or church volunteers to spiritually raise their kids. Scripture teaches that the evangelism and discipleship of children and youth should be directed primarily by the parents and oriented around the family’s day-to-day activities. Parents are supposed to be the primary spiritual mentors of their children. The solution is not the cool church in town with great programs and a large gymnasium where all the other kids hang out. The solution for your children is you. Kids need parents who are spiritual. According to George Barna (Barna Research Group) most Christian parents do not spend time during the week interacting with their children on spiritual matters. Instead they rely upon the church to do ALL the spiritual training their children will receive. No matter how hard a church tries, it is incapable of bringing a child into complete spiritual maturity on its own. That is the job of the family; and the church serves in partnership with the parents. The more willing a church is to take on the role of the parents, the more it reinforces an unhealthy co-dependent relationship in which the parents continue to abdicate their role and children are less likely to grow into adulthood as committed believers. Children need their parents to take an active role in their spiritual formation. Parents need to be telling their children the gospel and other great stories from the Bible. Parents need to be modeling what it looks like to live for Christ. Our lives should be the greatest sermon they ever hear. The job of the church is not to assume the role of parents, but to prepare parents for their role. THIS SUNDAY’S MESSAGE: “Family Ministry Begins at Home”….. and this is what we’re going to be talking about. 1. Tomorrow afternoon (Saturday) the Ushers of PCC are having a chili cook-off. The event starts at 4:00 p.m. Men are invited to attend – even if you’re not an usher. The only requirement is that you bring a pot of chili when you come – (that is, man’s chili. Not that sissy stuff). There’s also going to be a judging contest with prizes given to 1st and 2nd places. We’re gathering at the picnic area, building a fire, and will be howling at the moon before the night is over. 2. Sunday after church we’re also having a fellowship dinner on the grounds for seating section 1. 3. Really looking forward the entire month of November. Dinner on the grounds each week, a baby dedication service, baptism service, communion service, Thanksgiving, and another guest speaker. Wow! 4. TIME CHANGE Saturday night. Set your clocks back one hour. 5. One final note. We live in busy times and it’s very easy to get caught up in doing too much while neglecting the most important things like your family, marriage, and personal devotion to God. Church leaders and workers can get so busy trying to save the world that they lose their own kids/marriages. Not a good trade if you ask me. Working parents can get so busy that they don’t have time for each other. Church volunteers can get so busy at church that they neglect their home. We should be more guarded. On the outside it might look like things are great, but on the inside your soul will be struggling. Who cares how many people go to your church if your heart is dark? Who cares how many people showed up to your event last night if the dishes are still piled up in the sink at home and the kids haven’t been fed. Who cares how many followers you have on twitter or your blog if you’re not there for your own family? Who cares how many friends you have on Facebook if you if you’re not spending time with the people in the room right now? What good does it do you to gain the whole world and lose what’s most important? Take care of your soul. Take care of your faith. Take care of your family. Pay attention to faith, family, and friends. Getting these things right might not get you recognized, but they are the things that make life real.